Behind the Scenes 7501 Mariner Rd. We’re three guys from the Chicago area who love Door County and found an opportunity to develop 2 shore-front luxury homes in Egg Harbor. 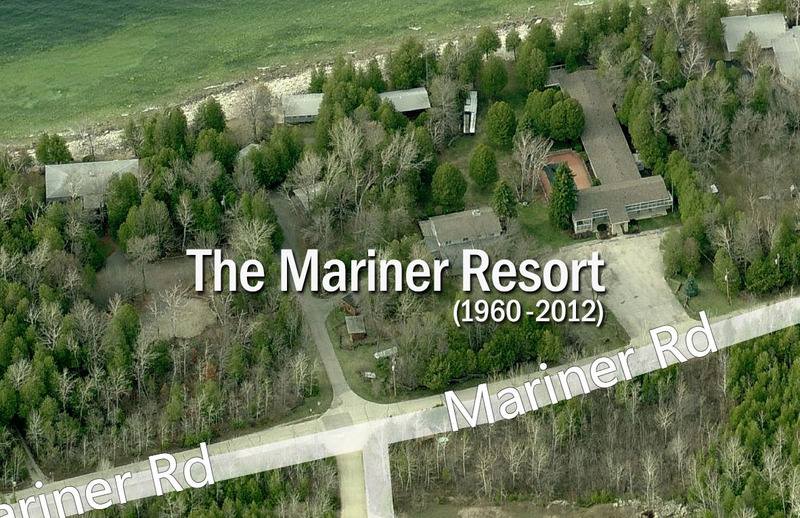 This is the site of the old Mariner Resort. In 2012, we bought the dormant property, tore down the motel and cottages (all of which had seen their better days), and built two luxury rental properties; 7501 & 7505. The homes were designed by Doug Reynolds. If you’re from the Chicago area, you’ll find Doug’s work peppered throughout the North Shore. We were thrilled to bring his architectural talents to the shores of Egg Harbor. We contracted Tielens Construction to build the home. Keith and his guys did an amazing job in bringing the home to life! This 7000 sq. ft. home is appointed with the finest materials, fixtures and appliances. Cindy Erickson designed and coordinated all of the beautiful finishings for both homes. A Wolf Range and a Subzero refrigerator anchor the gourmet kitchen. We have radiant heat on every floor including the garage and coach house to provide the perfect comfort during a cold winter. The comfortable furniture was provided by Wenz Home Furniture in Green Bay. The great room is open to the kitchen and also open to the loft upstairs giving the word "spacious" a whole new meaning. The third floor is a private sanctuary with eagle eye views of the bay and a separate bedroom with a full bathroom. In fact, all 6 bedrooms in this house have their own bathrooms, including the coach house. Door County is known a summer resort area but the winters are beautiful as well. The Bay freezes over and it becomes a tranquil winter wonderland. Enjoy ice fishing, cross country skiing, snowmobiling or just hunker down with a warm fire and a stocked kitchen. Both properties make for great business retreats, family reunions and small, intimate weddings. Browse through our photo galleries which include construction photos captured along the way as well as beautiful sunsets taken from the back yard. We use VRBO.com to handle all of our bookings. Please visit 7501 and 7505 for rates and to view the calendar. Please contact us if you have any questions. © 2016 RPO Holdings, Inc.